Keeping track of your daily activities is important as it keeps you organized as well as determines your level of productivity for the day. People today use different tools to help them out with organizing their day—including managing contacts and meetings—as it relates with their jobs. For this topic, we share to you some Client Management Software and some common features these types of software have to keep you on track with your contacts or clients. These types of software are not only limited to its use for work however. You can use them to store your family and friends’ contact information as well. Most contact management software programs not only cover contact storage, but also cover reminders and notes for you to use. They let you save yourself the time you waste in downloading and purchasing other software to run other tasks. 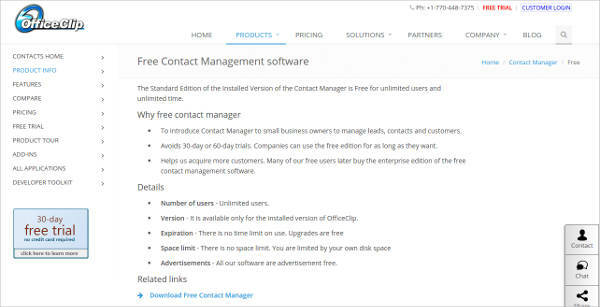 Most contact management software also have an interface that’s easy to use which means, most users will be able to familiarize themselves with the different tools and features right away. 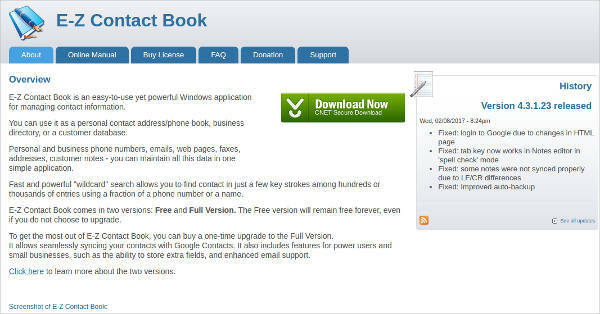 Direct Phone Call Feature – This software also gives you ability to call the contacts you saved directly using the software. There’s no need for you to open the dialer to make calls or to copy-paste contact numbers. Quick Search Options – Quick search options are also available for you to quickly retrieve contact information with keywords. 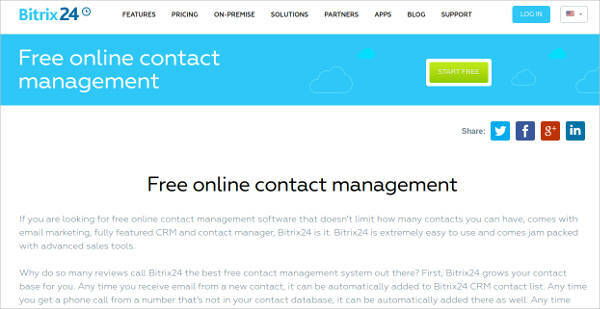 With this feature, you don’t need to search for your contacts manually by scrolling through tons of contact numbers. 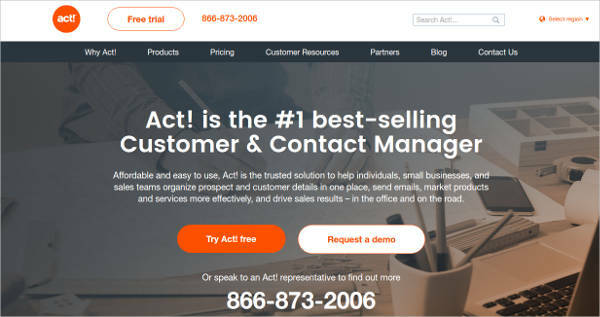 Works Well with Other Apps – All contact management software are built to work well with other apps like Google Contact, SurveyMonkey, and even PaylPal. 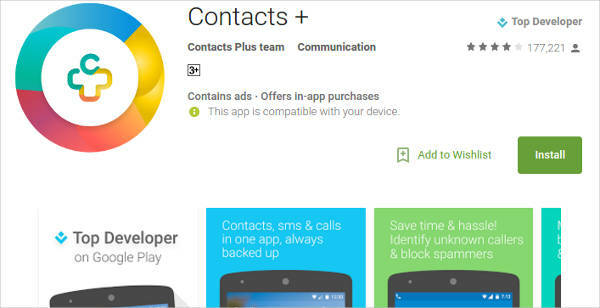 With these feature, you can incorporate different contact information with the different apps available today. 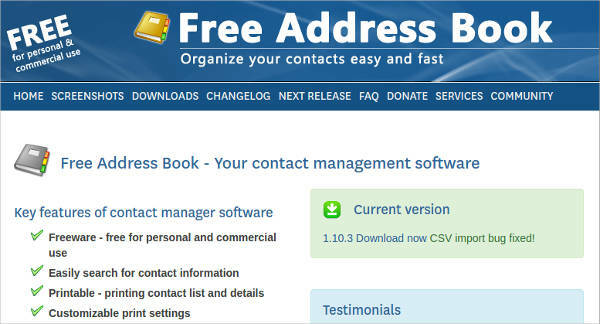 If you need to store in more specific details, you can download an Address Book Software online. Company Database Management Tools – Management tools store and scan over company information and transactions, which most businesses use today to track data and employee information easily. This also helps in businesses wherein, all employees can track all data in one database for uniformity. Reminder Tools – Most contact management software also has reminder tools for you to use to keep the things you need to do on track. This feature is even more specific, as it can remind you of your contact’s birthdays. Image Insertions Tools – These tools let you insert images for your contacts so that, you can label them properly and place pictures on their information. If you need more management tools for business purposes, you can download a CRM Software from the web.